I’ve been posting a lot of food-related recipes and posts (yum!) 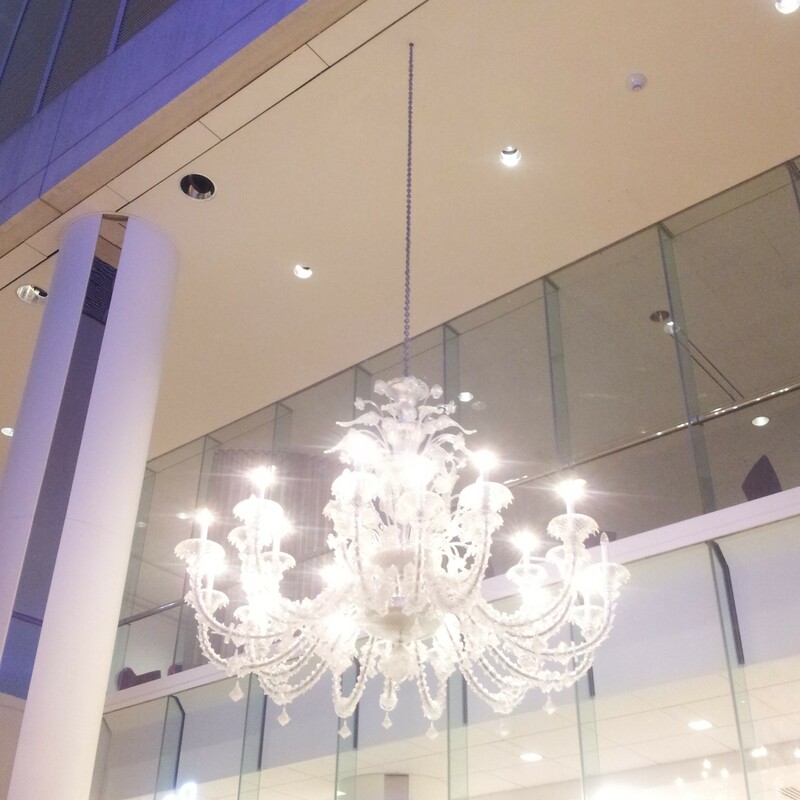 but here’s a beautiful shot of a chandelier at the Museum of Fine Arts in Boston. This fine fixture beams morse code at museum guests as a part of a functional art installation. It is all in white, with purple back lights and crystalline drops that elevate the atmosphere and transports the viewer. Tags: art, beauty, chandeliers, glamour, interiors, light, MfA Boston, museum of fine arts Boston, photography. Bookmark the permalink.